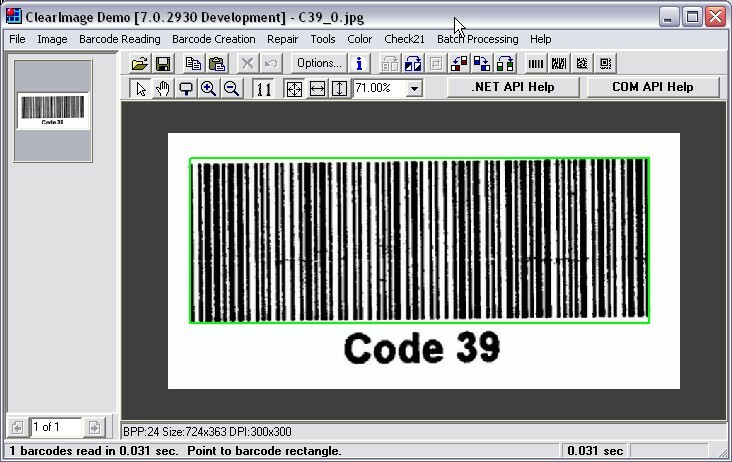 Development and Testing: Try parameter values for image processing and barcode recognition methods before coding them in your application. Production and Diagnostics: Investigate problem with a specific image in your application. Open problem image in ClearImage Demo. Apply the same processing as your application. NOTE: ClearImage Demo uses currently installed Development version of ClearImage. If the release level of your Production and Development differ, then their behavior might vary. Make sure that your Production release is the same as the Development release.